Back in 1988, I bought a book that became my bible – The Complete Beatles Recording Sessions. As I was a massive fan of the group and just starting out on a sound recording career, it was a real eye-opener, especially in an era when almost every drummer that came in to record requested “a Simple Minds snare sound”. 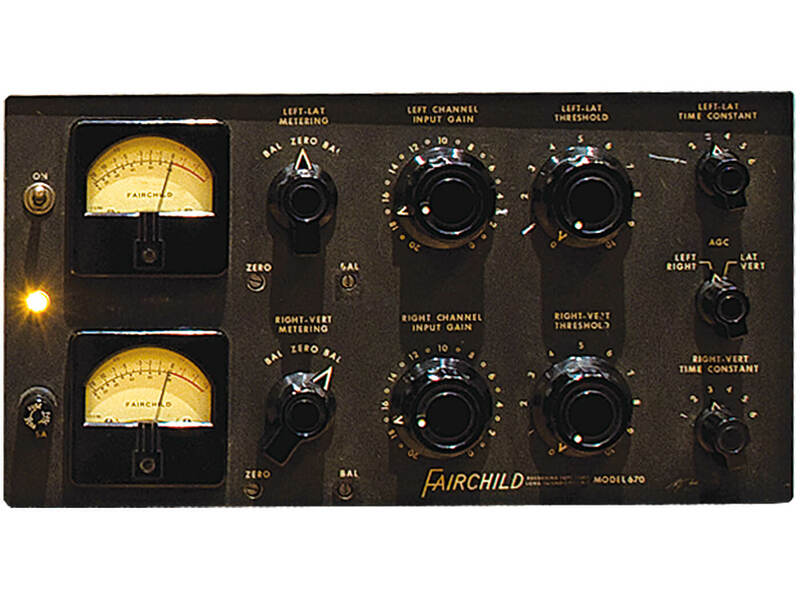 In that pre-Google age, I could only imagine what a Fairchild looked like and took every opportunity to quiz producers and engineers who visited the studio. “Have you ever used a Fairchild?” I would enquire hopefully. “Don’t you mean a Fairlight?” would be the usual reply, referring to the then in-vogue digital synthesiser. I wasn’t the least bit interested back then in a synth that sounded like a horse breaking wind all over Kate Bush and Peter Gabriel albums, and it would be almost a decade before I finally clapped eyes on a genuine vintage Fairchild 660. And it wasn’t any old 660, either. It was on a visit to Abbey Road Studios in 1997, to sit in on a mastering session for a recording I’d engineered, that I enquired if the studio still owned a Fairchild. “Oh yes,” replied the engineer, “would you like to see one?” I remember staring at it for what seemed like hours, before blurting out: “Would this have been used…” I don’t think I managed to finish the sentence before my host smiled knowingly and nodded. I’ve still never had the pleasure of using a real Fairchild, because I don’t have a spare £50,000 burning a hole in my pocket. However, I do use the excellent plug-in from Universal Audio – in fact, it’s the only plug-in I ever use. As a longtime gear junkie, I’m spoiled by having access to lots of great hardware such as 1176s, LA-2As, EQP-1As, plus vintage plate and spring reverbs. 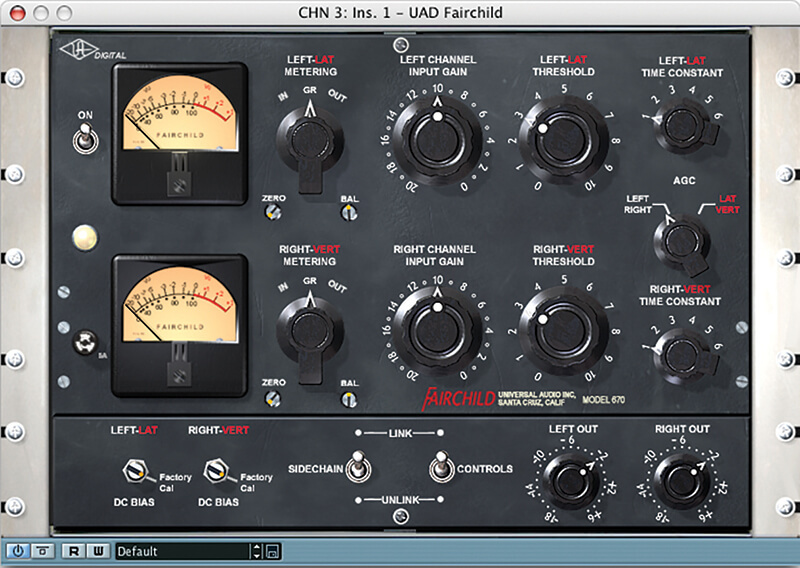 Yet as much as I enjoy manipulating pots and switches, while feeling (and hearing) the warmth of analogue, I find myself reaching for my virtual Fairchild time and again. Launched in 1959, the single-channel 660 and stereo 670 quickly found favour with top recording studios. It was on a visit to Capitol Records’ American studios that EMI engineer Peter Bown heard the Fairchild in action, prompting the purchase of several units. Simple to use, the 660/670 has three user-adjustable controls: Input Gain, Threshold and Time Constant. Increasing the Input Gain raises the input level until the signal reaches the limiting point, above which it cannot rise. Threshold controls the compression applied at levels below the limiting point; set fully anti-clockwise, no compression occurs before limiting. As this is turned up, compression is increased. The Time Constant control is a six-position switch that adjusts the unit’s response times, with the fastest settings producing the heavy pumping effects for which the Fairchild is most renowned. The unit can be used more transparently to dynamically control vocals, and most Beatles vocals were processed through a 660. But it’s the explosive drum sounds Geoff Emerick pioneered on tracks such as Tomorrow Never Knows from Revolver that sealed the Fairchild’s reputation, and indeed my love for it.